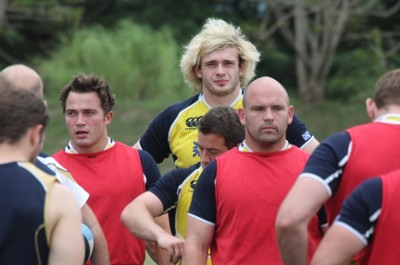 Richie Gray is declared fit for Scotland duty while scrum half Harry Pyrgos could win his first cap at the weekend. Scotland head coach Andy Robinson has brushed aside injury concerns surrounding giant second row Richie Gray ahead of Sunday’s clash with New Zealand at Murrayfield. Glasgow prop Ryan Grant and Edinburgh’s Dutch born winger Tim Visser will both be making their first appearance for Scotland at Murrayfield. Meanwhile Grant’s club team-mate Henry Pyrgos is the only uncapped player in the match-day squad. Kelly Brown will captain Scotland for the first time in the match on what will be his 50th cap. The Saracens number eight will be looking to do what no Scotland skipper has done in the past – lead his side to a victory over New Zealand.